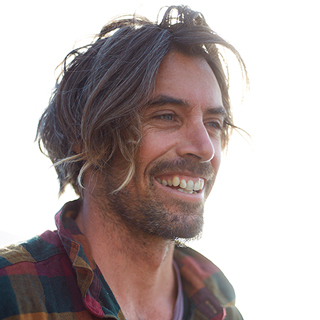 Dave lives on the fabled north coast of New South Wales, a surfing mecca rich with pointbreaks and pristine coastline. “Being in an engaged community of coastal people who actively preserve the wild spaces and culture that make the place so beautiful is the highlight of my life,” he says. Living simply on an acreage—growing fruit and vegetables, beekeeping and, of course, surfing—makes for days filled with meaningful play.